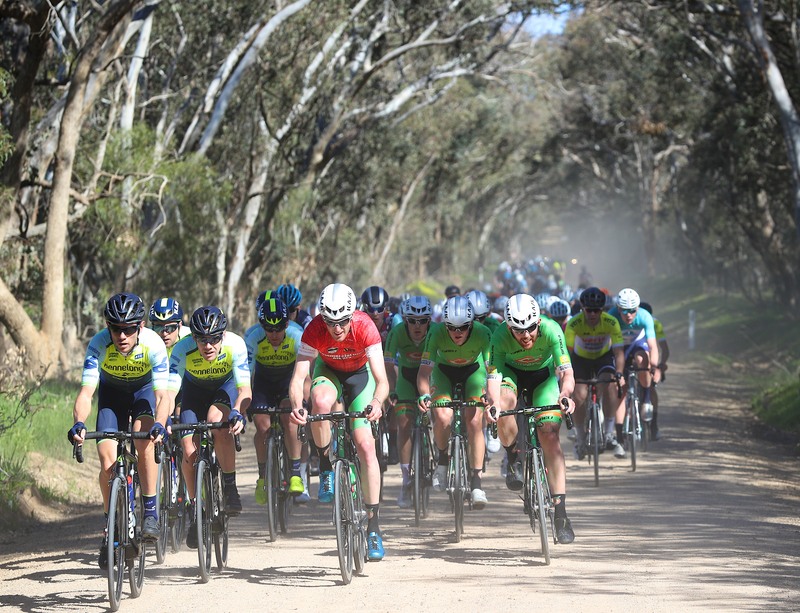 The ever consistent Nick White has finished second place overall at the Tour of King Valley in Victoria over the weekend, after securing second place finishes in both Stage 3 and Stage 4. Round 4 of the National Road Series started well for the team, with Jack Sutton placing 10th in the Stage 1 Individual Time Trial. He was just 3 seconds off the fastest time over the 1.6 km prologue distance. But the team’s luck changed in the afternoon criterium, with Russel Gill crashing out of the sprint at the last corner of the last lap. Gill sustained injuries to his hand and back, but would continue on to finish the 3 day tour. In Stage 3 the following day, the Oliver’s team was aggressive in the early stages, with Ben Marshall present in a number of early attacks which earned him the most aggressive rider award at the end of the day. White established himself by making the selection over the second climb over the now famous Strade Nero road with 17 other riders at 60kms to go. He then went on to place second in the stage behind Tristan Ward of Bennelong-SwissWellness, missing out on the top spot by the smallest of margins as the leading group splintered and just made it to the finishing line before the charging peloton. In the fourth and final stage of the tour, White supported by his Oliver’s teammates gave everything to claw back his 8 second deficit but was again beaten by Ward in the sprint finish. The team is now preparing for the next round of the National Road Series, Amy’s Otway Tour, starting in Lorne, Victoria on the 15th of September.